This lake is located in Bern canton. The area is a truly fairy tale like scenery, with turquise water and cascades formed by the melting snow from the mountain peaks. 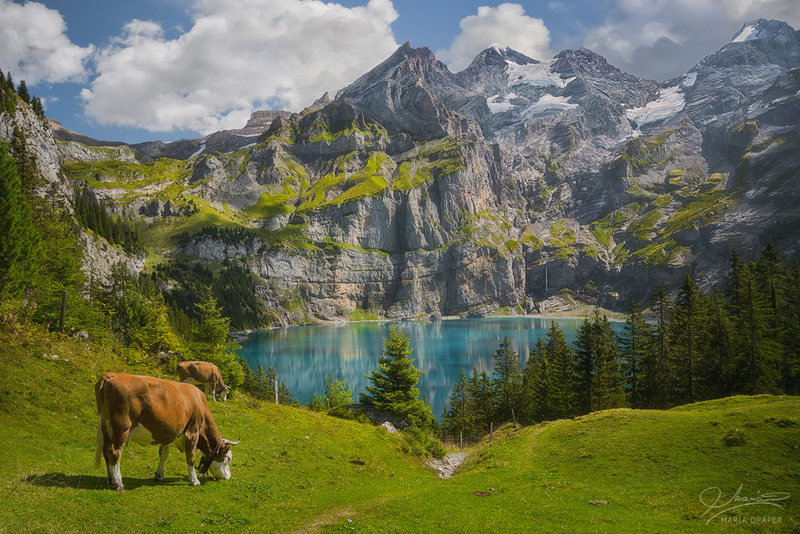 Grazing cows are a common sight by the lake Oeschinensee, or on the green pastures around the lake. This place can be reached by a long hike from Kandersteg or by taking a cable car to Rodelbahn, and a short hike to the lake.